Preheat the oven to 350 degrees. 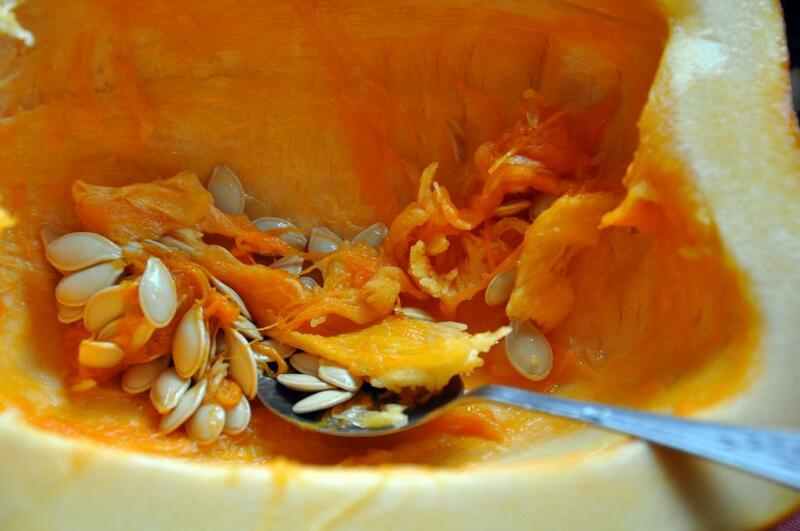 Cut the pumpkin in half and remove the stem and seeds. (You can save the seeds, roast them and eat them as a snack or as a topping for salads and Mexican food. There are lots of recipes out there.) 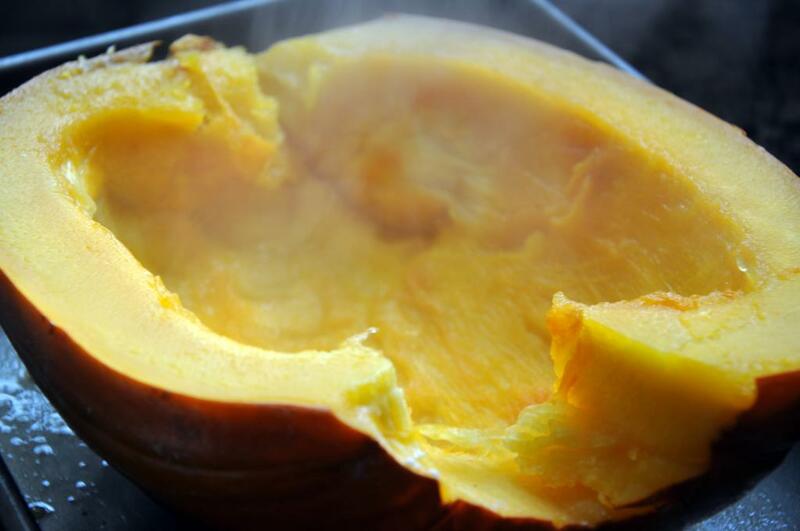 Place the pumpkin halves in a baking dish filled with about 1/4" inch of water. 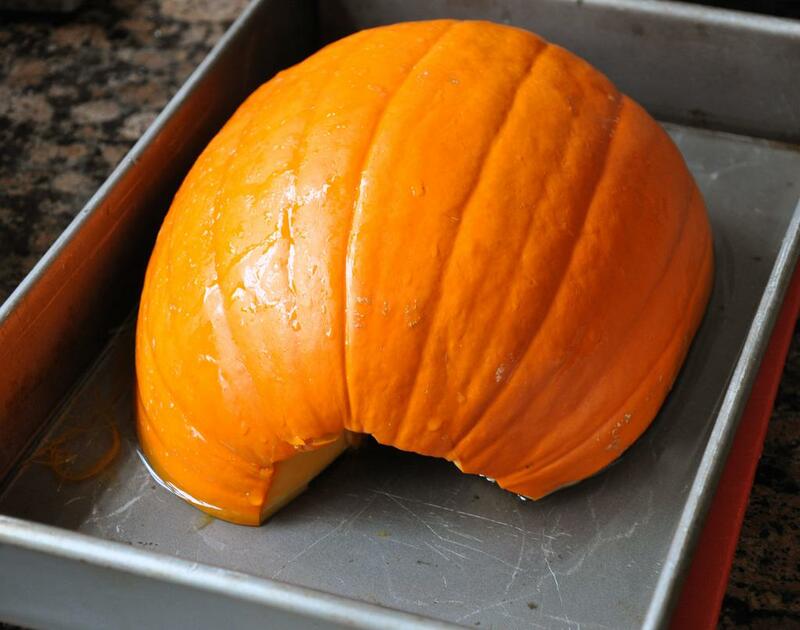 Bake for 45-60 minutes until the pumpkin is tender. Peel off the skin and chop. Heat EVOO in a large pot over medium heat. Add cinnamon and allspice and cook for 1-2 minutes, until fragrant. 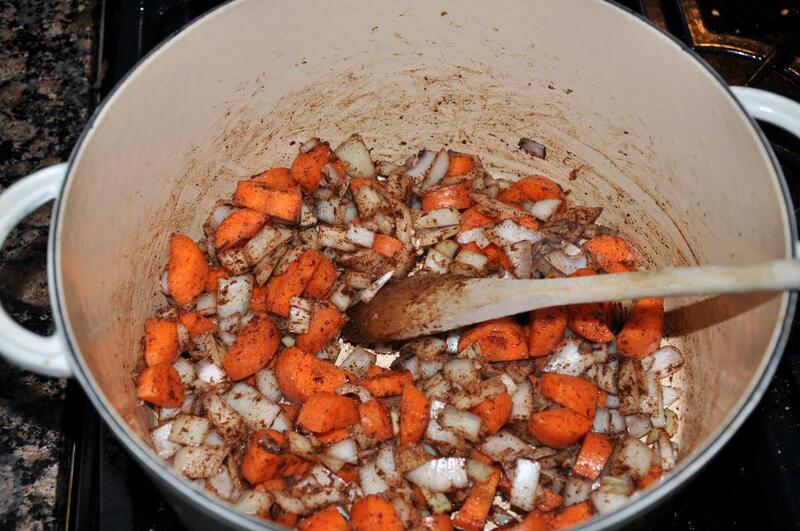 Add garlic, onion, carrots and ginger. Saute 4-5 minutes. 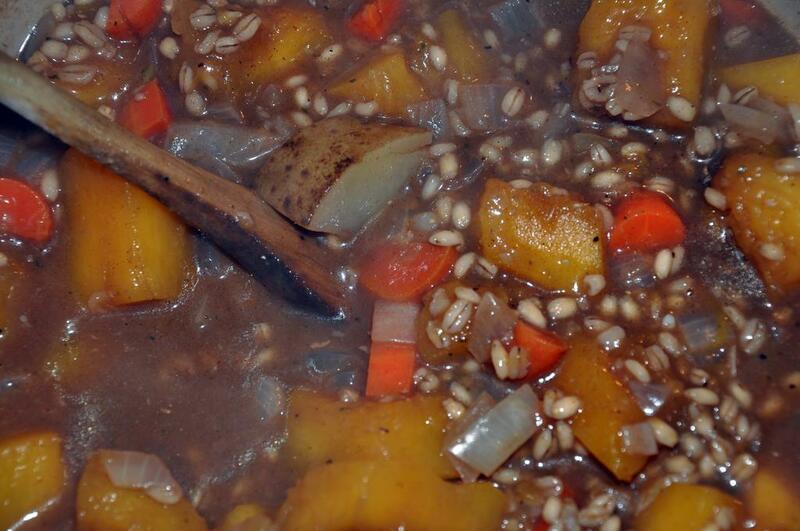 Add the pumpkin, barley, potato, broth and SnP. Bring to a boil over medium-high heat, then turn to medium-low and simmer for 20 minutes, until the potatoes and carrots are tender. 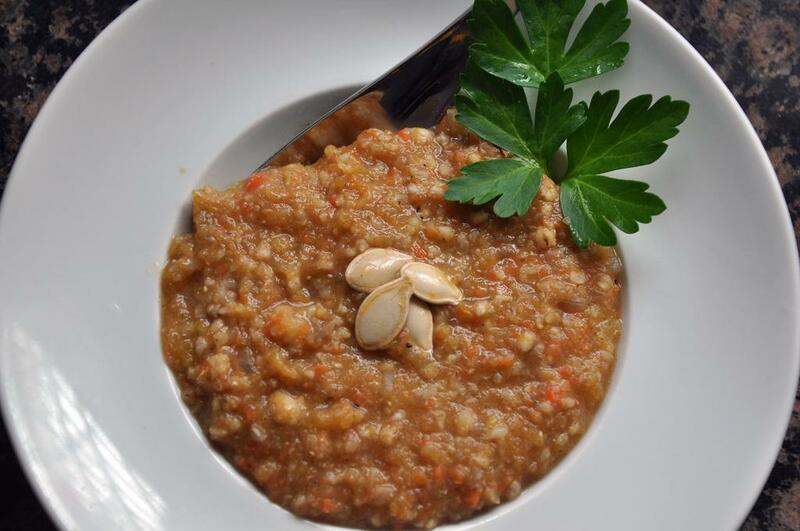 Serve chunky-style or puree for a smooth finish.